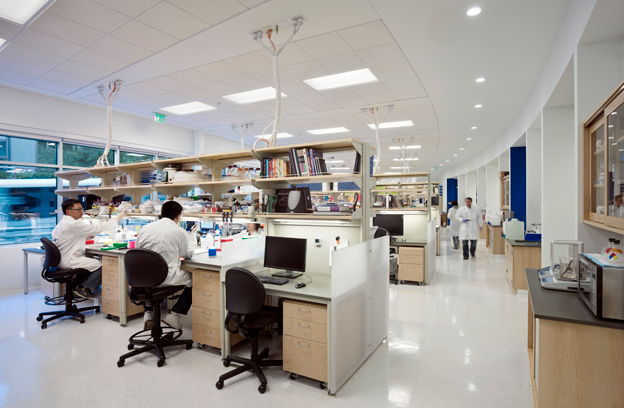 The Ray and Dagmar Dolby Building at the Eli and Edythe Broad Center of Regeneration Medicine and Stem Cell Research at UCSF is a 68,500 square foot, $123 million stem cell research facility with room for up to 300 professors, support staff, and students. 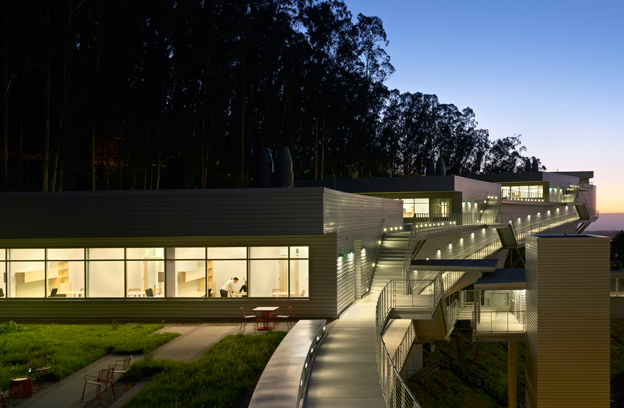 It is a base isolation building constructed on narrow, steep site at the congested Parnassus campus. 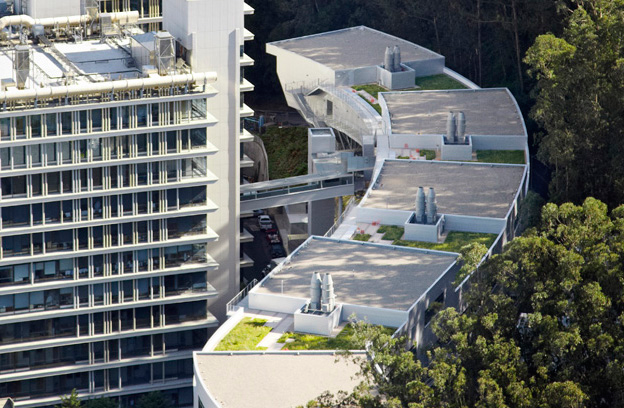 Cammisa + Wipf served as the University’s electrical engineering representative for this Design-Build project. Our services included creation of the electrical bridging documents, evaluation of proposals, and review and consultation during the entire construction and commissioning process. 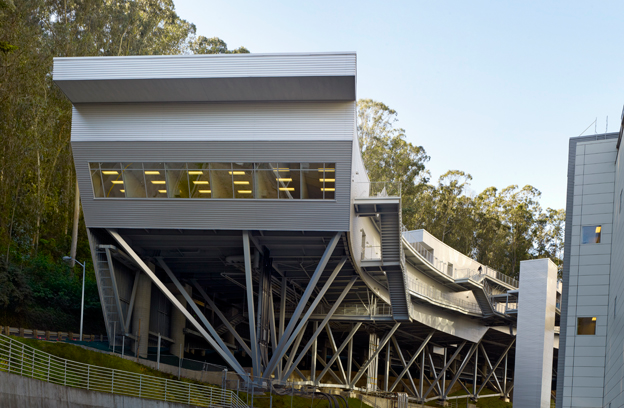 The building has four pods of open labs and offices extending horizontally in overlapping tiers in a serpentine fashion following the contours of Mt. Sutro. 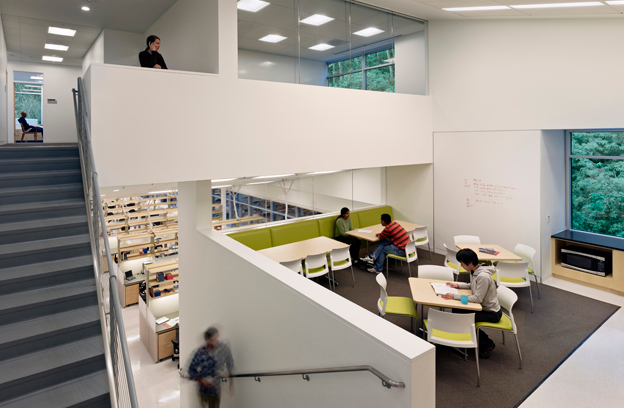 Certified as LEED Silver the building utilizes daylight harvesting and state-of-the-art lighting controls for an energy efficient lighting system. Connection of the building electrical services to the campus utilities presented challenges due to the steep terrain and movement of the base isolation building Cammisa + Wipf worked with the University and Design-Builder in the development and evaluation of flexible electrical service connections. The building has 100 percent backup power from its own emergency generator and redundant backup power is provided by the campus Central Utilities Plant.